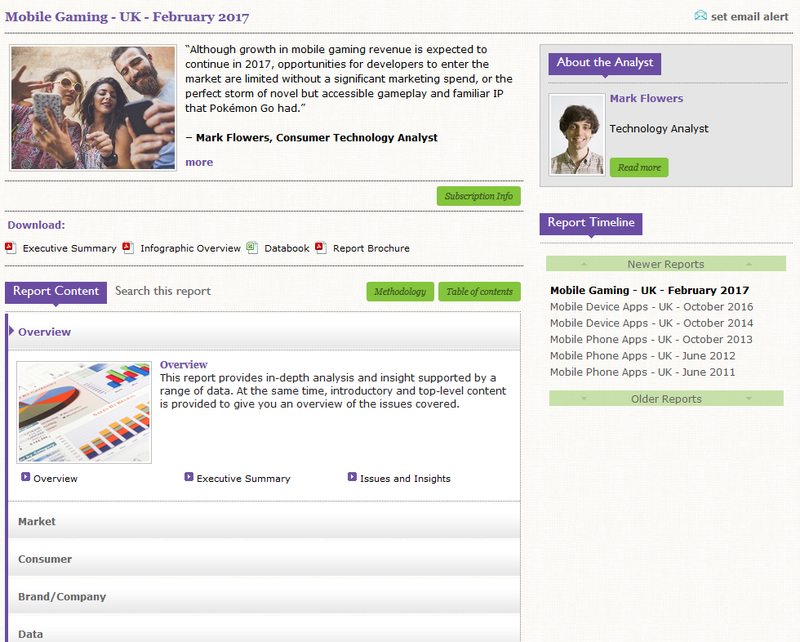 Mintel is a resource that provides consumer market research reports covering different topics or sectors of the UK market. Market research data on Mintel includes trends, statistics, brand and company information, and sector demographic data. Where can I access Mintel? 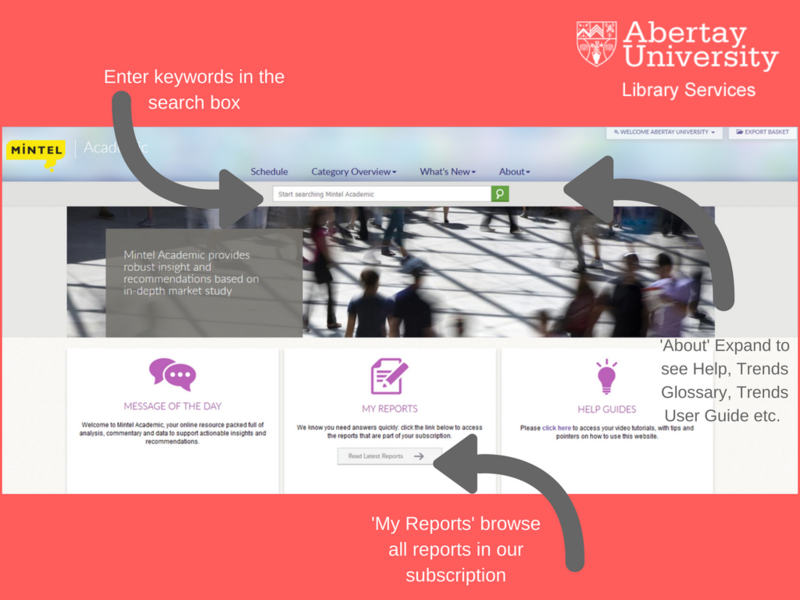 Please note that due to the more specialised nature of Mintel content, it is not searchable via LibrarySearch. 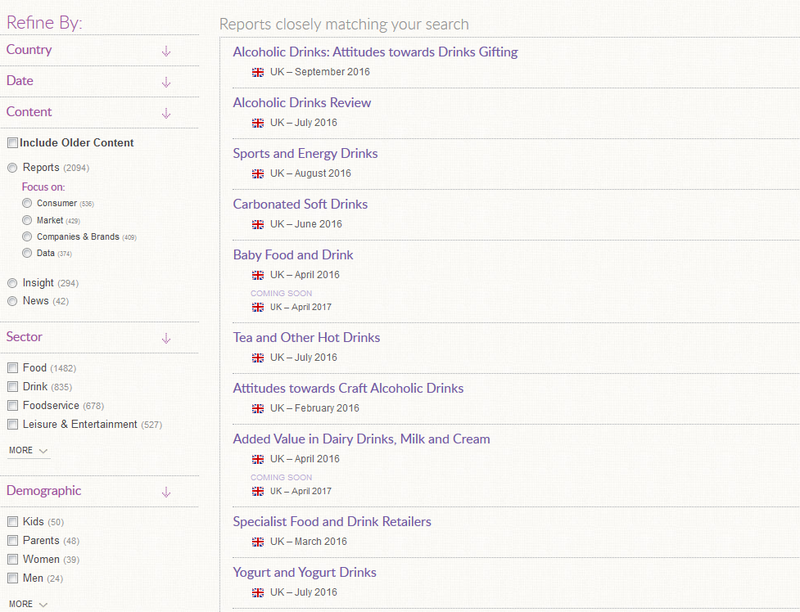 How do I search Mintel? Type search terms into the free-text box e.g. search by category, company, industry, or sector. A suggested list of reports will display as you type your terms. Results are ranked by date (newest first) and according to the number of times your search term(s) appear in the report or insight. You can refine your results using the filters on the left hand side of the screen e.g. filter by date, content, sector etc. What information can I get from a report? If you would like further information about Mintel or searching for consumer market research reports, please get in touch. We’re happy to help. 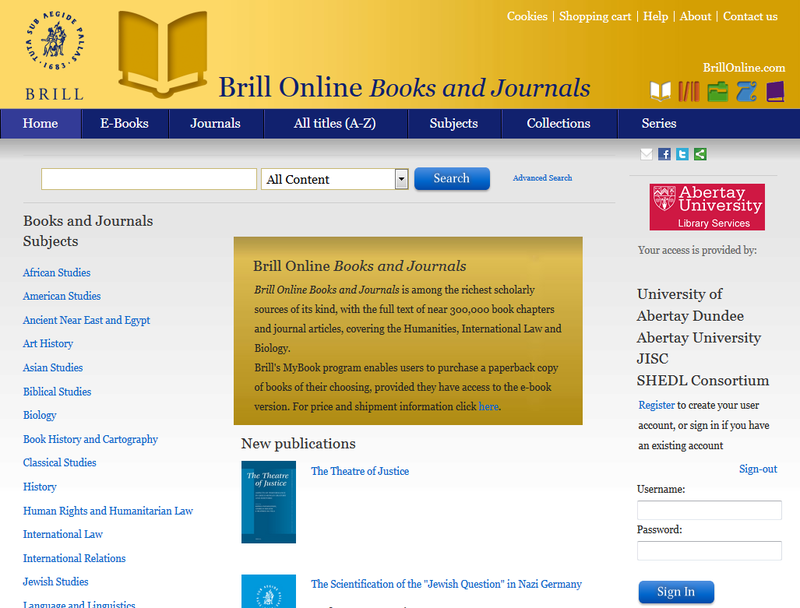 Results from Brill will still display in LibrarySearch but you will be unable to link to the full-text during the downtime. If you have any queries about this, or any other Library resource, please let us know! 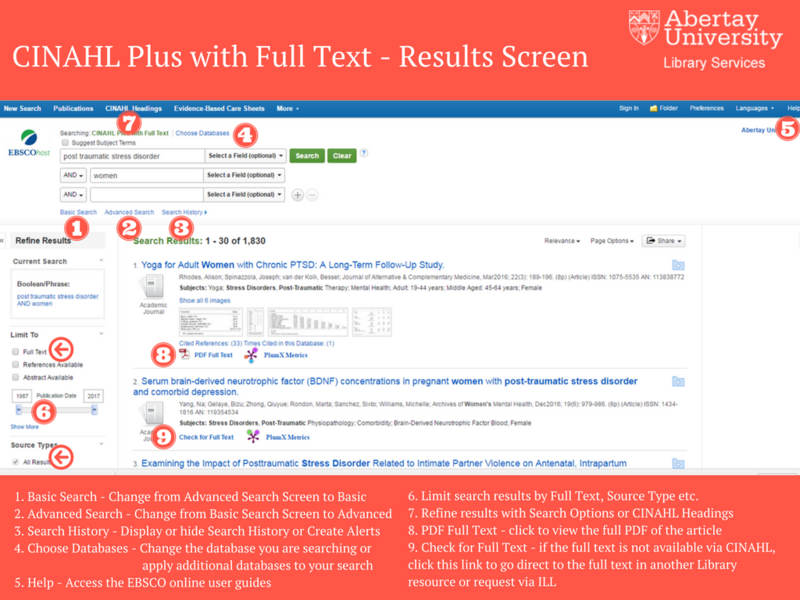 Library Services are very excited to tell you all about our new EBSCO resource: CINAHL Plus with Full Text. This will be a key resource for those in both SHS and SET as it covers Nursing, Mental Health and Counselling, Nutrition and Dietetics, and much more! What is CINAHL and what does it cover? CINAHL is the Cumulative Index to Nursing and Allied Health Literature. CINAHL Plus with Full Text covers a wide range of topics including nursing, biomedicine, alternative/complementary medicine, consumer health and 17 allied health disciplines (includig Athletic Training, Nutrition and Dietetics, and Social Service in Health Care) This database also provides access to health care books, nursing dissertations, selected conference proceedings, standards of practice, audiovisuals, book chapters and more. Where can I access CINAHL? Some of you would have previously had access to CINAHL when out on placement via the NHS Knowledge Network Scotland – you had to use a separate Athens username and password. Now you don’t need to go via the Knowledge Network or have a different username and password to access CINAHL content! Just use the link above (available via the A-Z Online Resources) and log in with your network username and password. EBSCO have created comprehensive help guides for all CINAHL products including FAQs, search queries, and help with CINAHL Subject Headings. If you prefer to watch a video, EBSCO have also created training videos on CINAHL products. These tutorials demonstrate the basic and advanced searching features of the suite of CINAHL databases on EBSCOhost. Additional functionality available from the CINAHL Plus, CINAHL Plus with Full Text and CINAHL Complete databases is also included. 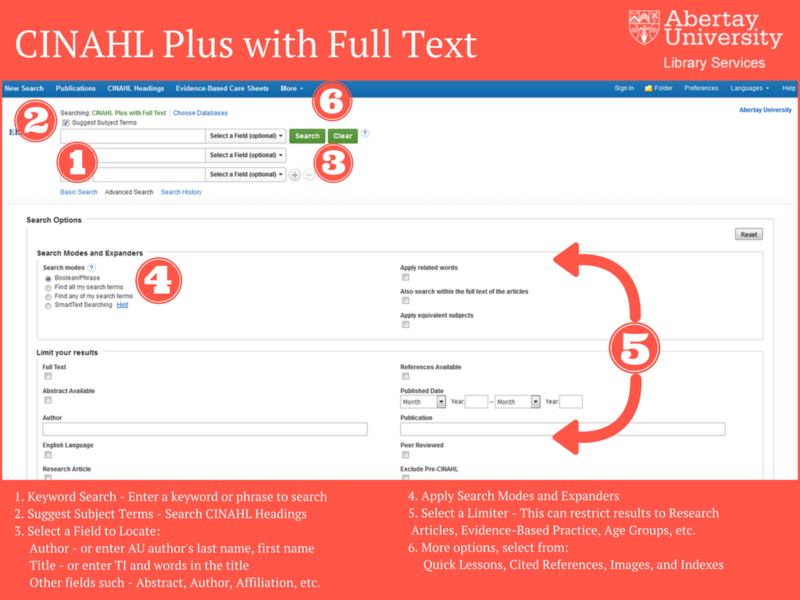 Please note that the version subscribed to by the Library is CINAHL Plus with Full Text. If you have any queries about using CINAHL (or any other Library resource) please do let us know. 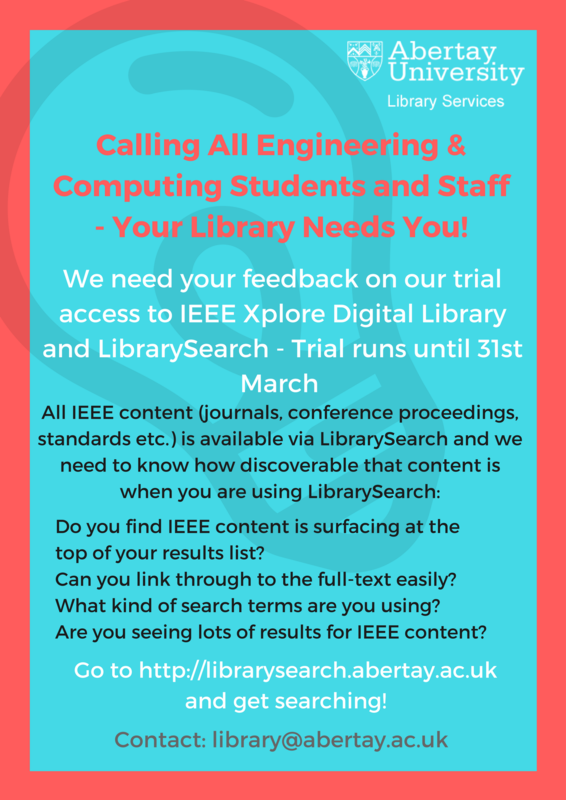 IEEE Xplore Digital Library Trial Access – We Need Your Help! We currently have trial access to IEEE Xplore Digital Library! It is a great resource for Engineering and Computing subjects and the trial is running until the end of March, 2017. IEEE Xplore provides online access to more than 4 million full-text documents from some of the world’s most highly cited publications in electrical engineering, computer science and electronics. What content does it have? How do I access IEEE content? Do you find IEEE content is surfacing at the top of your results list? Can you link through to the full-text easily? What kind of search terms are you using? Are you seeing lots of results for IEEE content? Please send us your feedback – all is welcome, good and bad. You can send it via Twitter, Facebook, email us, tell your Academic Librarian, write it on the feedback walls in the Library. We don’t mind how you let us know, but please do tell us what you think!